We are excited to finally unveil photos of our brand new office location! Our new office building includes an expansive lobby area with stations for using computers to access information on our current rental inventory, a public restroom, beautiful 140-gallon freshwater tank complete with a sunken pirate ship, individual offices for each employee to offer privacy when meeting with any member of our team, a full kitchen and coffee bar, employee lounge and so much more! You can view the complete gallery of photos by clicking HERE! 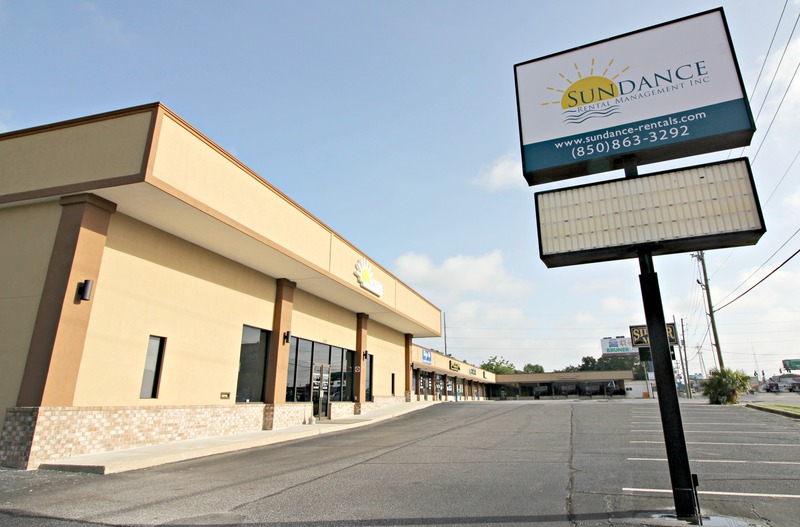 We welcome you all to stop by and see us, we'll be happy to give you a tour to show off our new home of Team Sundance! Your basic rental rate will already be determined if you have previously rented your property. However, there are several ways to insure that you are getting the maximum rent for the area market. Many factors can affect the ultimate rental rate. The condition of the property is extremely important along with features such as refrigerators and dishwashers, garages, fenced yards, patios and pools. The size or square footage of the rental unit along with the number of bedrooms and baths will have a direct impact on the rental price. 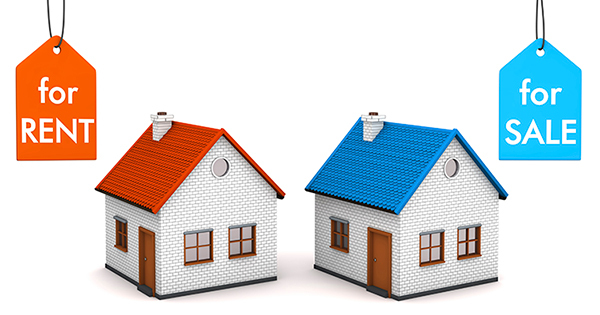 Be sure to compare your rental to one with like features and don’t use a property that has not rented as a comp. The true rental rate is the rate that an occupied property leased for. Availability, supply and demand, plays a huge roll in selecting the ultimate rate for a rental property. There are a number of ways to determine the availability of rentals in a market area at any given time. The best source would be the number of rental listings on the internet rental listing sites. The MLS rental listings in the area and the listings in the local newspaper or magazines will also show the numbers and types of rentals currently available. It is important to understand the demand. Tracking inquiries or the activity of the rental market will indicate the demand. Late spring and the summer months are traditionally the busiest turnover time for long term rentals here on the Emerald Coast. Since most leases expire at the end of the month, and tenants are required to give a 30 day notice when moving, more listings usually will show up at the beginning of any given month than towards the end due to property being rented and withdrawn as the month goes along. Set your rent in line with those like properties on the market. In a strong market, one in which there is a lot of activity, it doesn’t hurt to initially add $25-$50 to your rent. You can always back off if the competition increases of if calls slow down, lower the rent. Remember, you can only get what someone is willing to pay. Don’t be greedy. If your property sits empty while you hold out for an extra $25, the lost rent from a vacancy is hard to recoup. The activity or inquiries you receive will be directly related to the amount of exposure you give your rental. Most prospective tenants now look for rental property on the internet. There are numerous rental sites available to list a property. Posting pictures and details is essential to attract clients to your rental listing. Professional Property Managers have access to many of these sites and have a good understanding of the local market. The long-term rental market here is closely tied to the military activity. Traditionally, most families like to move while school is out during the summer. Our local Air Bases are home to many training schools and move personnel year round in and out of classes making the market always busy. Raising the rent on a good tenant when they choose to renew their lease is not always the best way to maximize the profit/loss of your rental property. A good tenant that always pays on time and takes care of your rental is very valuable when you consider the cost changing tenants. Unless the market shows a sharp increase in the rental rates, an increase could cause the tenant to move and make it hard to recover the increased rent. Being a successful property manager requires both skill and experience but also the offering of tools to help you market your property to rent quickly and be maintained professionally to protect your investment and generate the desired income. Here are 5 questions you should always ask when interviewing or hiring a company or agent to manage your rental property. Knowing the volume of a management company’s inventory can be a telltale sign of the sheer amount of experience a company has had with managing property. At Sundance we currently manage over 1,700 properties spanning 3 counties along the Emerald Coast and our agents collectively hold over 50 years of property management experience. What steps do you take to market rental properties? Knowing a company’s marketing avenues and strategies is essential to ensuring your rental property will reach it’s target market, rent for top dollar, and rent quickly! Sundance advertises on 30+ websites and our website is the first to come up when you search ‘property management company on the emerald coast’ which means our website will be among the first that prospective tenants will visit when searching for a rental home. We also take great lengths to direct prospective owners and tenants to our website through many social media platforms. How do you ensure qualified tenants are placed into the properties you manage? Vetting a prospective tenant is one of the most important steps in the process of managing rental properties. This step ensures that a qualified tenant is being placed into your property that will be most likely to pay rent as agreed and take care of the property. Our application process includes verifying the rental history, criminal history, credit history and income of every prospective tenant. Do you handle or facilitate maintenance of rental properties? It is important to know, especially if you are not local to your rental property, how maintenance issues will be handled. We have a knowledgeable and dedicated maintenance department that handles each and every maintenance call from all tenants. 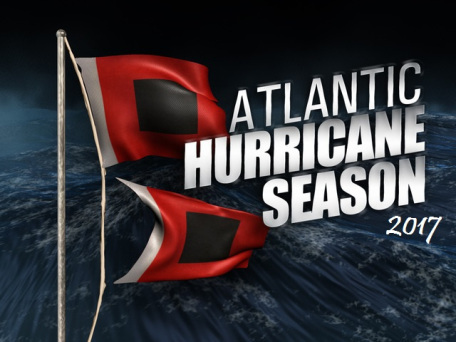 They gather information about the issue, solicit estimates from our licensed and insured vendors, and oversee repairs. Our maintenance professionals handle every aspect of maintenance issues from the initial call from the tenant to report and issue to the invoice being paid to the vendor all while keeping you, the owner, informed every step of the way. It is imperative to preserving the condition of your property that your property manager have regular inspection procedures in place. For every property that Sundance handles full management of a property manager will drive by monthly to do an exterior check or assessment of the property. During monthly assessments of the exterior your property manager will note the condition of the exterior of the home, condition of the yard/landscaping, and note if any card that are not authorized are being kept at the property. In addition to monthly exterior assessments we conduct annual full property inspections inside and out of every property we manage, usually at the time of a lease renewal or final inspection. Your rental property is a very important investment and nothing is more important to us than protecting and preserving that investment to the best of our ability. Through our experience, technology avenues, marketing procedures, tenant screening process and attention to your home we strive to provide nothing short of excellent services to all owners and tenants. Now that the cold weather is hopefully behind us it is time to pay a a little attention to the exterior of your property and your yard. This is a great time to give your yard a fresh mowing and get on a somewhat regular schedule as the grass begins to steadily grow for the remainder of the warm months, this includes edging and clearing away fall/winter debris such as leaves and sticks. You should also trim and prune any small trees and bushes to ensure they can continue to grow without interfering with the structure of your home. If you rent a property where large tree limbs are coming in contact with the home that could cause roof or structural damage you should notify your property management company promptly and provide them with photos (if possible). Cleaning debris out of gutters will also ensure that they can function and drain properly to avoid damage. 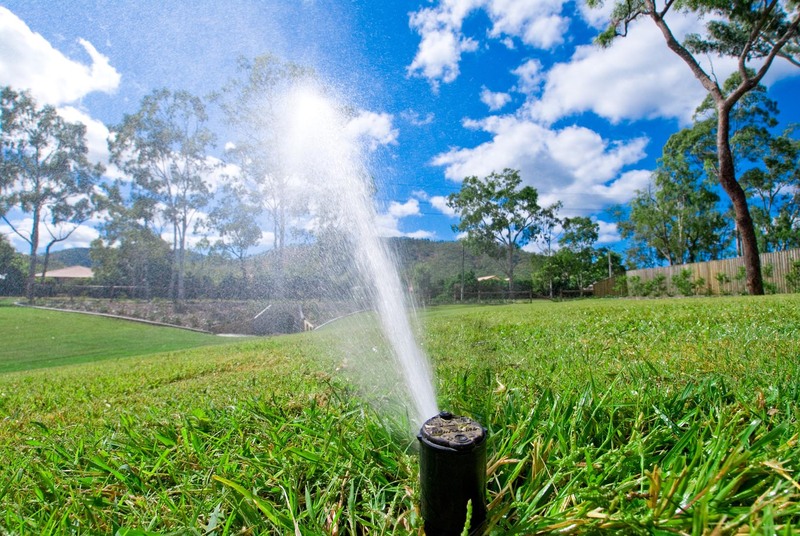 Additionally, this is the perfect time of year to prime your lawn pump and ensure that all components of your sprinkler system are functioning properly; negligence can lead to costly lawn repairs. Click HERE to be directed to our website DIY maintenance page if you would like to view an instructional video on how to prime your lawn pump. Whether you own or rent your home and decide to hire a company to take care of the items above always be sure they are licensed and insured. With the local rental market in a strong upswing and many homes still upside down on their mortgage, many home owners are turning to renting rather than selling. Unemployment numbers on the Emerald Coast are some of the lowest in the State. A strong tourist market and Military presence has attracted new business and investors to the greater Fort Walton Beach area. As the population grows, the demand for rentals increases proportionally. Many of our local military choose to hold on to their homes when they are reassigned. Some plan to retire here or plan to sell at a later date when the property values have increased to offset the mortgage. By renting their homes while away, they can maintain a permanent address and have a place to move back to when they return. Owners of rental property enjoy many tax advantages. Some of the deductions include interest on the mortgage, insurance, property taxes and management fees. Money spent on repairs or improvements while the home is rented are usually a valid tax deduction. This allows an owner to improve or upgrade the property and take the deductions off of their tax return. Investment property can also be depreciated, allowing for a further tax deduction. The income from the rental, for tax purposes, is added to personal income on the tax return, but the allowable deductions will usually offset the income gain. With interest rates at near 4%, it is possible to cover a mortgage with rent. A tenant will help pay down the mortgage as the value of the property goes up. Tenants will often want to buy the property they are renting. They can apply their deposits toward closing costs and save on moving expenses. Nothing says owners have to sell to tenants, but they can be a good prospect when deciding to sell. If there is a negative cash flow between the rent and house payment, the difference is usually covered by the allowable deductions of the interest, insurance, taxes, etc. What about the fear of tenants damaging your rental property? Damages and wear can negate the appreciation on a rental, however, with proper tenant screening and professional management, the rental experience can be rewarding. A professional property manager uses their experience and skill to protect an owner’s investment. Property management fees paid to a professional property management company are also valid tax deductions. By law, however, a property manager must have a valid Florida Real Estate License to manage rental property for a fee. If you need to sell at this time, sell. The sales market has also picked up this year. As long as the property is priced reasonably and will appraise for asking price, it should be sellable. If you are looking for an alternative, talk to a professional property manager and your accountant to see if renting might be a better option. Everyone has a different financial situation and an accountant can determine if renting your home or investing in other rental property is beneficial to you and can discuss the various tax advantages of rental property ownership. If you are a property owner or tenant, issues concerning property line infractions or fences are common place and can cause problems between neighbors. There are many rules and statutes that can be applied to adjoining property disputes and I will be talking only in general terms. 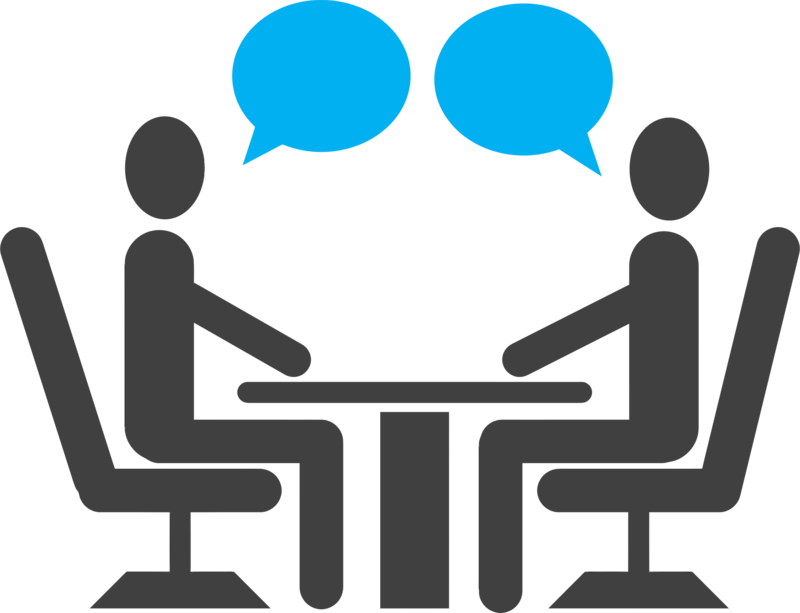 Legal questions or liability concerns should be directed to an attorney. As property managers, we are frequently involved in issues concerning a fence that needs repair or replacement. It can involve a pet or child that is no longer restrained by a broken fence. The issue can be to determine who owns the fence and is it their responsibility to make the repair? Often, owners don’t know who owns the fence or when it was installed. Fences are usually installed on the property line between properties and might have been put in by the builder or the cost split by neighbors. The assumption that the fence belongs to the property owner that has the fence facing out or on the outside of the fence posts is not always the case. The bottom line is usually who is willing to replace or repair the fence and if there is liability involved such as a dangerous dog or swimming pool. Common sense should be applied to property line disputes however when there is a cost factor thrown in, that often goes out the window. A fence on the property line is usually beneficial to both sides and it would make sense to split the cost of replacement or repair. When one owner refuses to contribute and there are no liability issues, several solutions are available. Make the repair yourself on your side of the fence. Replace damaged fence boards, install inexpensive chicken wire by stapling it to the existing fence or if there are rotten fence posts a treated 2”x4” can be driven down next to a rotted post to make temporary repairs. If the fence needs replacement, you might consider installing the new fence inside the property line by 6 to 12 inches which will leave a void between the neighbor’s old fence and your new one. Another issue that often arises between neighbors involves trees or bushes that have grown over the line or are rotten and need removal. Generally it is legal and the responsibility of the property owner to trim or cut trees or bushes that are encroaching on their property up to the property line. If there is a dead tree or branch on the property next door that is a danger to your property written notice should be given to your neighbor explaining your concern and it then becomes a liability to them. One misconception is when a healthy tree on your neighbor’s property is brought down by a storm and falls on your home or causes damage to your property they should pay for the damage. This damage is covered by the insurance of the damaged property owner and not usually the responsibility of the neighbor with the tree. Property lines are normally platted and recorded in the county public records. When a property is surveyed there are pins (steel rods) driven into the ground to mark the corners of the lot. If the exact location of a property line needs to be located and these pins are not found it might save a costly mistake to hire a surveyor before installing a fence or building on you property. J. Matthew Scheel | Broker-Owner | Sundance Rental Management, Inc. The unthinkable can happen when you go online to search for homes for rent. You find a desirable property at a great price and you contact the person advertising the home sending them your personal information and maybe even a deposit or advance rent money. Then you find out the house isn't actually for rent or that the person you are dealing with is not the owner or owner’s agent and they are not authorized to advertise or rent the property. It’s a housing scam and it is happening more and more frequently each day. These scam artists pose as the owner or owner’s agent. They take real estate listings of homes from legitimate websites and use them to place ads on Craigslist and other similar buy-sell-trade websites. They often lure prospective renters in by offering the home for rent far below market value making the advertisement seem like a great deal. When a prospective tenant contacts the person advertising the property to inquire or secure the property for themselves, the scammer will email a renters' application to full out. The application often requests personal information such as social security number, date of birth, bank account information, etc. In many cases the person conducting the scam will request a deposit or advance rent be sent to them in the form of certified funds such as cashier’s check or money order making the money untraceable and unrecoverable. You should never give your personal information or money to anyone prior to viewing the property AND speaking with the owner or owner’s agent directly. Here at Sundance Rental Management we do not require any personal or financial information for the application process until after a prospective renter has personally viewed the property. This illegal act of housing scams victimizes home owners or owner’s agents as well. The owner or property management company are often unaware that the home is being advertised on unauthorized websites until the individual being scammed contacts them requesting access to the property. Requests for money to be sent (especially by cashier’s check, money order, or other forms of certified funds that can be untraceable). Typos, grammatical errors and improper wording or context during discussion. 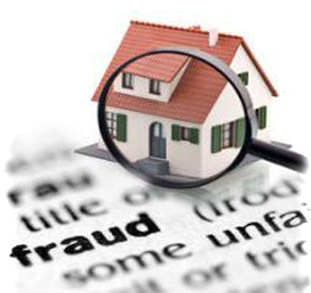 Owners can protect themselves from being a victim of housing scams by hiring a property management company that is committed to combating these types of scams and can properly handle and eradicate the situation, should it arise. 2016 proved to be a very busy year for the rental business. The local sales market also saw growth as both new home and existing home sales increased over the previous year. 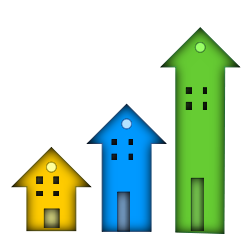 Home values continued to increase due to the demand and low inventories. Rents were on the upswing for the same reasons and the outlook for 2017 should be more of the same for the Emerald Coast. The trend for young people entering the work force to rent rather than buy will continue for the next several years. Our local economy is so closely linked to the strong Military influence and the resurgence of the tourist industry which continue to bring new business and families to our beautiful area. The top rated school system, great law enforcement and wonderful weather all contribute to families desire to settle here. The white sand beaches, emerald water and green golf courses don’t hurt to attract settlers and visitors alike. The transition to a new President should benefit our area over the next several years if the new administration is able to rebuild the Military. The talk of controlling government spending and waste will only contribute to greater and more efficient Armed Forces. We have been fortunate to have low unemployment locally however, as more jobs are created nationally our overall economy will prosper everywhere. I have been writing this monthly column about property management and rentals for almost 15 years now and hope you won’t mind me reflecting back over 2016 on a slightly more personal basis. After almost 40 years as professional Property Managers, my wife Pam and I are slowing down and letting our children take Sundance Rental Management, Inc. into the future. We will always be an active part of the business as advisors and directors, but the operations and management is in their capable hands. Our daughter Susan, and her husband, Blake along with our son Rick have worked with us for the past 10 years and Rick’s wife Amber came on board last year. Blake is a Broker and they all are licensed Real Estate Professionals. Rick and Amber are currently studying for their Broker Licenses. The Influence of young minds has kept our business up-to-date with new trends and technology and has contributed greatly to our growth over the past several years. We have grown from Pam working as the property manager in her father Fred C. Cooke’s real estate office to now over 25 employees. Our inventory grew by 250 new properties in 2016 and we are in the process of building new offices next door to our current location on Beal Parkway which will more than double our existing office space. It is such a blessing to have a family and employees that love what they do. We appreciate our owners, tenants and vendors and all those who are a part of our business that have contributed to our success over the years. We understand that Sundance Rental Management, Inc. is a service company and will always strive to provide our best. 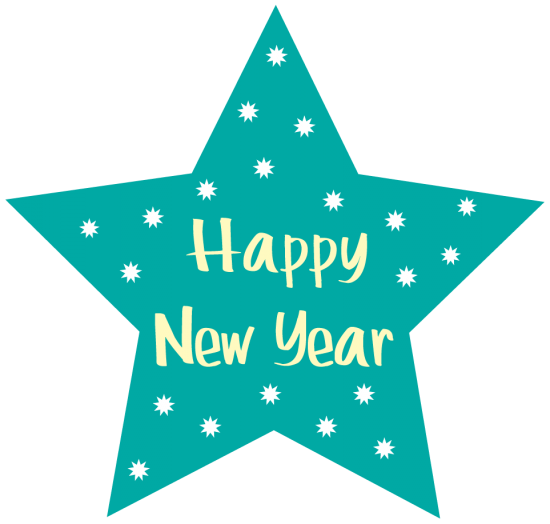 I am confident that 2017 will be a great year for all those involved in the management and leasing of rental property in our wonderful community. We wish everyone health, happiness and prosperity in the new year and God’s Blessings on all of you. As cooler weather approaches, it is time to take the necessary precautions to prevent problems caused by freezing temperatures. Whether you are the owner of a rental property or a tenant, there are many items around a house that need extra attention when the weather turns cold. Many leases make the tenant responsible for the winterization of lawn pumps, pipes and pools. Failure to take the necessary steps to protect these items can result in expensive repairs or replacement costs for the tenant and owner. Lawn pumps for sprinkler systems that are above ground, and not jet pumps, need to have the water drained out of the cast iron housing before freezing temperatures arrive to prevent water from freezing and cracking the housing. If the pump has an automatic timer, it should be turned off. A plug or butterfly valve is located at the bottom front of the pump housing and needs to be removed or opened to drain the water from the housing. The faucet on the top of the pump should also be opened to allow air into the pump for complete water drainage. If the temperature is going to dip below freezing overnight, it is a good idea to keep the pool pump running. The water circulating through the pump and pipes will keep them from freezing. Freeze warning devices can be installed on pool pumps to turn them on automatically to prevent freezing. If your pool pump is on a timer you can set the timer to come on during the cold night hours. An outdoor Jacuzzi can also freeze when the temperature falls below 32. If it is not protected from the cold it should be left on at night. If your home has an off-grade foundation or if there is exposed plumbing to outside temperatures, precautions should be taken to prevent the pipes from freezing and causing expensive repairs. The best permanent freeze protection for pipes is to wrap them with insulation. Outside faucets can be covered with an inexpensive foam insulation cap available at any hardware store. If you are unable to insulate your plumbing before cold weather arrives leave a faucet running slowly to keep water flowing to prevent the pipes from icing up. Delicate plants and shrubs around the exterior of a home should be covered with sheets or plastic to prevent frost or freeze damage. Don’t forget your animals. Outdoor pets can freeze when the mercury dips below freezing. Allow you pets to sleep in the garage or place a light bulb in the dog house to provide extra warmth. There are a few things you can do to keep your home warmer in the winter. Have the heater checked for efficiency and safety. Change or clean the filter on your central heating system to allow better air flow. Seal doors and windows with insulation strips and cover leaky old casement or jalousie windows by taping plastic over them. If you have ceiling fans that reverse, turn them on low and reverse the rotation to bring the warm air at the ceiling down into the room. Turning the thermostat down a few degrees and wearing warmer clothing will help reduce your utility bills. Taking a minute now to make the necessary precautions for freezing temperatures will save money and aggravation when the thermometer dips below 32 degrees. J. Matthew Scheel Broker/Owner Sundance Rental Management, Inc.